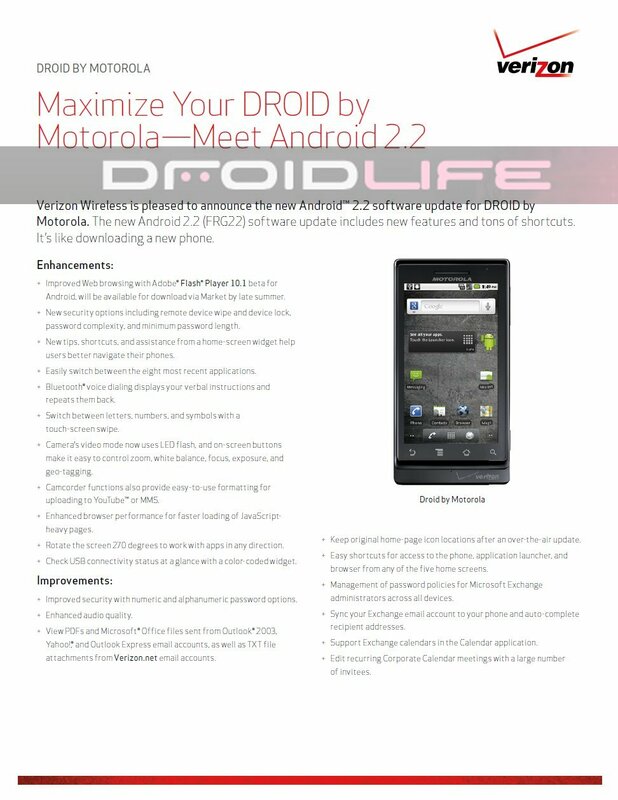 Remember the document we showed you last week which listed FRG22 as the official Android 2.2 build for the Motorola Droid? Well, Verizon may have just confirmed that it exists and will be pushed to phones within the next couple of weeks. DROID by Motorola – even better with Android™ 2.2 (Froyo)! Player 10 for Android to the device once it is available in the Android Marketplace. No specific date was given, but we have to assume that all Droids will be receiving this. If I were a betting man, I’d say you can expect it to hit your phone before August 18th, the same day Flash will be made available in the market. Tweetdeck Beta Released on Android! DROID 2 First Impressions, Free Swag with Purchase?